His career spans 45 years in the financial services industry, 25 of which were primarily focused in the UK building societies sector. As Chief Executive of Cheshunt Building Society, he grew the assets from £70 million in 1980 to £435 million in 1991. Since leaving Cheshunt Building Society Allan set up his own financial services practice specialising in mortgages both residential and commercial. In all, Allan has been directly and indirectly responsible for residential and commercial mortgage loans to a value of circa £2 billion during his career. He is currently an FCA registered Independent Financial Adviser and Mortgage Broker, Licensed Credit Broker and Expert Witness in the mortgage field. 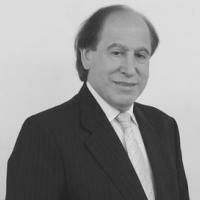 He has an intimate knowledge of all aspects relating to mortgages both from a lenders and a borrowers perspective. He has served on various committees of the Building Societies Association, from 1983 to 1991, and the Capital Adequacy Panel for the Building Societies Association, liaising with the Building Societies Commission. He understands the needs and concerns of individual borrowers and is uniquely placed to produce the best outcome for all his clients.